Linda Brown started her LifeCare career more than thirteen years ago. Already an EMT-B and active member of her volunteer agency, Linda’s background in accounting enabled her to join our staff as a Billing Specialist. LifeCare leadership realized from the very beginning that they had hired a customer service gem. Over the years, Linda has not only served as a Billing Specialist, but has been involved in many special events. These range from providing EMS coverage at the Boy Scout Jamboree to sharing her smiling face and gentle words with children and adults in attendance at health and safety expos throughout the Central Virginia Region. Linda’s knack for customer service has proven invaluable to LifeCare when serving customers calling in regards to their bills. 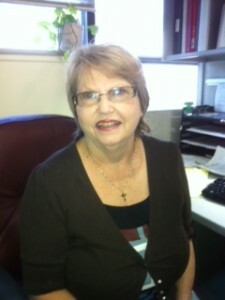 Additionally, Linda is a great cheerleader for LifeCare’s employees. She assists the President of LifeCare with the preparation and presentation of kudos letters to employees who have been recognized by LifeCare’s customers for outstanding service. LifeCare would not be the same without Linda’s smiling face and excellent customer service.